This is the typical profile of businesses who are looking for a website in this price range. And it’s actually a reasonable request. As a new business, you know that having a website is a must; however, funds are limited. If you are an established small business and are spending 7-8% of your annual revenue on marketing activities which includes web design, you are probably spending the right amount. One of the constraints you will need to accept at this price point is that the scope of work cannot be complex. You will probably be limited to a "basic" website with less than a dozen static pages and a contact form. As soon as you start talking about a shopping cart, custom photography, content creation, animations, store locator, or user portals, you are talking about a much more complex web site. We are often asked to create websites that are “simple, clean and easy to use.” However, this is actually a complex requirement and is definitely not easy. Creating a clean user experience that is relevant to your specific business and unique selling proposition requires a lot of time and thought to get it right. 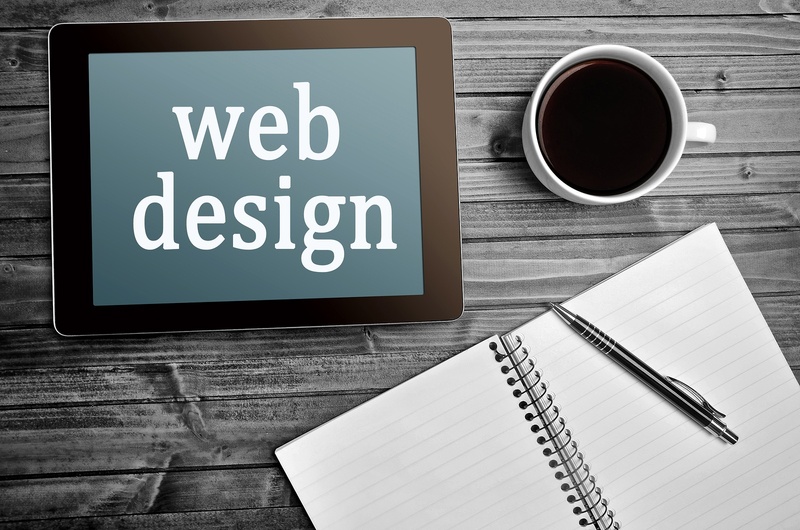 There are very few domestic web design agencies that will take on project with a $5k budget. The reasons are simple: there are high labor costs and overhead expenses, and the technology / tools / processes are not optimized for these small projects. In other words, if they did take on projects of this size, they would actually lose money. Most small web design companies require, at the smallest, projects in the $10,000 range, while large agencies are known to require minimum project sizes of $100,000. In our experience, even a “basic” website will take at least 50 hours of work. Of course, it all depends on the scope, how difficult the client is, and how much work the client is willing to take on themselves. But, we’ve checked this number against the smaller projects we used to take on and talked with other web designers who specialize in websites for small businesses: 50 hours seems to be about right. Keep this number in mind as you explore the options below. These types of web developers have very low overhead: no payroll tax, no office lease, no business insurance, no benefit insurance and no vacation pay. All of this adds up to a relatively low hour rate: between $80 and $100 an hour. These folks tend to be jacks of all trades and can design and build, but they may be a little weaker in other areas, such as content creation, and you may need to find and bring in a freelance copywriter to fill in the gap. Benefits of using this type of web designer include personalized service, solid work quality and good communication. Offshore companies enjoy the benefit of having low labor cost. They are well-versed in the tools and technologies of web design, and they have extensive programming experience. They probably have an even lower hourly bill than solopreneurs and freelancers—a range of $30 to $60 per hour. Of course, if you have ever worked with an offshore company, you know that some of the biggest challenges are communication and quality control. Still, if you can dream it, it is likely that this type of company can find a template and build a site for you at a low price. The rise of web builders like Sqaurespace.com, Wix.com and Weebly.com have made web design a “turnkey” solution. Not only can you build your own website, but they will also host it for you for a low monthly cost. Your out-of-pocket expenses could be as low as $8 per month. However, all of the lifting is on your shoulders. You need to put in the time to design, write the content, crop the pictures and test everything. What is your time worth? So if you have a limited budget of $5,000, think about the three options above. Personally, we believe that finding a great local freelance web developer is the best option, even if you do end up paying more than the other two options. The reason? You will save time with a freelancer. As a small business owner, the most valuable asset you bring to the table is your time. But no matter what your budget is, make sure that your website answers these five fundamental questions. Are you interested in learning more about if i5 Web Design is the right agency for your company? Give us a call.